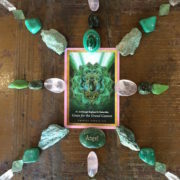 Grace for the Grand Gesture grid made from gemstones, chosen spiritual card and crystals at the entrance of Rockchic Shop. Every week we make a new grid. These grids are an incredibly powerful energy tool to use when manifesting your desires, goals and intentions. 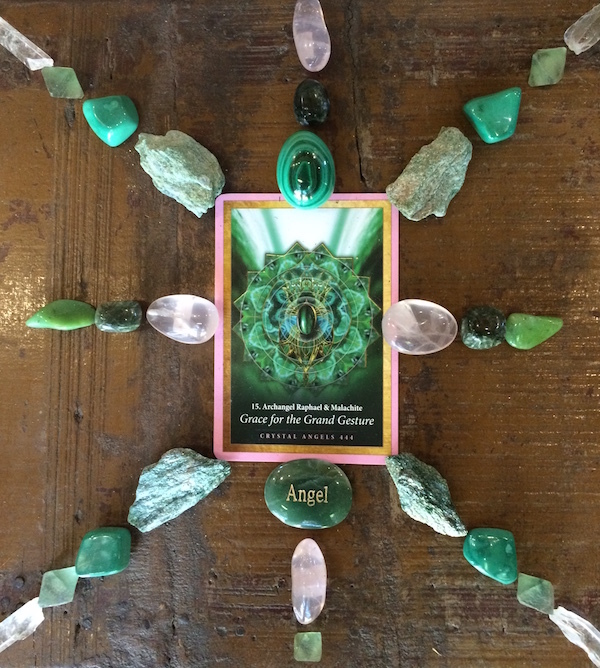 This grid contains Rose Quartz, Fuchsite, Fluorite (rough), Selenite, Malachite and Jade. They stimulate heart chakra resulting in feelings of unconditional love.